We have many regular law enforcement, military and firefighter customers who rely on us for their uniform dry cleaning & laundering – coats, pants, jackets and shirts. We have experience with a wide variety of starch and creasing requirements. 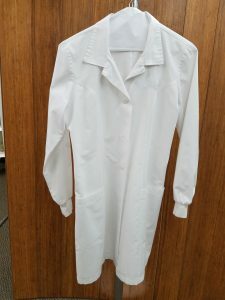 We launder lab coats for several medical clinics, ensuring that they are cleaned to provide the professional appearance that our customers expect.